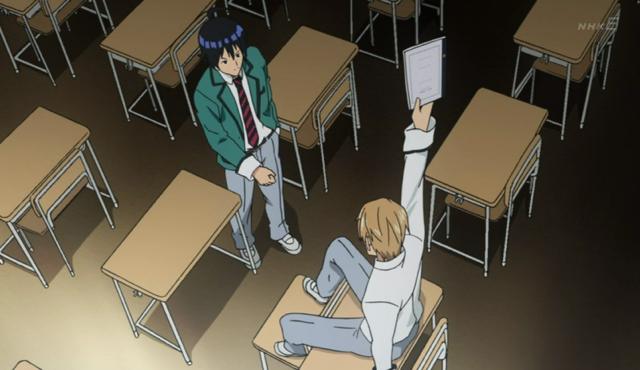 In Bakuman, two Japanese middle-schoolers set out to become great manga-kas. This was only the first episode of a two cours series, so there isn’t a lot to go on yet. I make some quick observations regardless. Power is at the heart of every relationship. Mashiro Moritaka is a young man with artistic talent, but no real ambitions. Takagi Akito is full of literary talent and drive. Takagi wants to become a manga author, and he sees his opportunity in Mashiro, if only he will consent to becoming Takagi’s illustrator. Takagi is unlike Mashiro in that he is driven by an unusual ambition, and also that he isn’t above using underhanded tactics to get what he wants. Since I have seen only the first episode of this show, I couldn’t get over the similarity between the two main characters and their counterparts in Comic Party. The original Comic Party (not the awful Comic Party Revolution, which was a wretched harem show) was about a high school student who is convinced by a classmate (with personality traits comparable to Takagi — they even both have glasses) to become a mangaka. I have no idea if the comparison is fair for the rest of the series, but this first episode had strong similarities. Love can make you do things you don't want to do. The twist at the end (an impulsive confession), took me by surprise. I don’t quite know what to make of either it, or the response from Miho Azuki. Uncle-san seemed like decent guy, too bad he's dead. 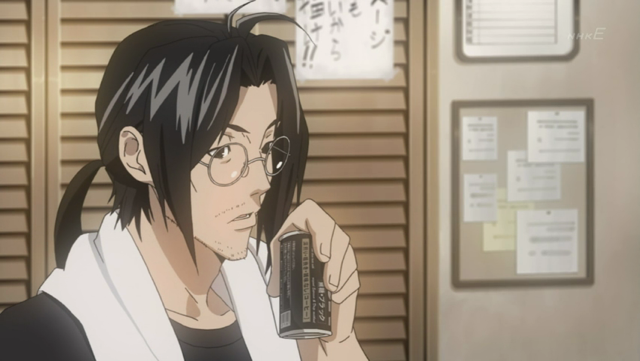 Mashiro’s uncle (voiced by Kenji Hamada, who played George in Paradise Kiss) was a mangaka who saw little success, he also had a sad, unfulfilling love life. Then he died. 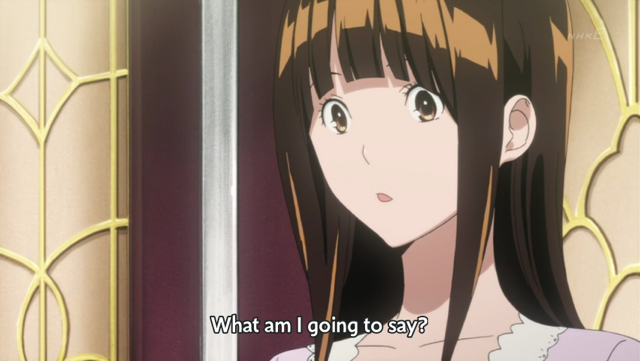 This is one of the things I don’t get yet about Bakuman; whereas Comic Party was obviously a comedy, that used the struggle to become a mangaka as a setting for the comic action, the first episode of Bakuman suggests a more serious tone, at least at times. At other times they seem to be reaching for humor. Which way is this show going? There are serious themes to explore (e.g. Will Mashiro have to fight his parents over his new-found vocation? ), or will clowning around by Takagi or romantic comedy be the direction the series pursues? Guess I’ll have to watch more of the series to find out. This show is one of the show that will turned out great, if the success of the manga is any indicator. That’s an interesting point. The characters are on the impulsive side aren’t they! Serious or comedy? I believe it has both, but it’s focused on the serious path… but not extremely serious. The comedy’s really great… very wacky especially if you see those certain characters, hehe.